What do the fields under "Settlement" mean? 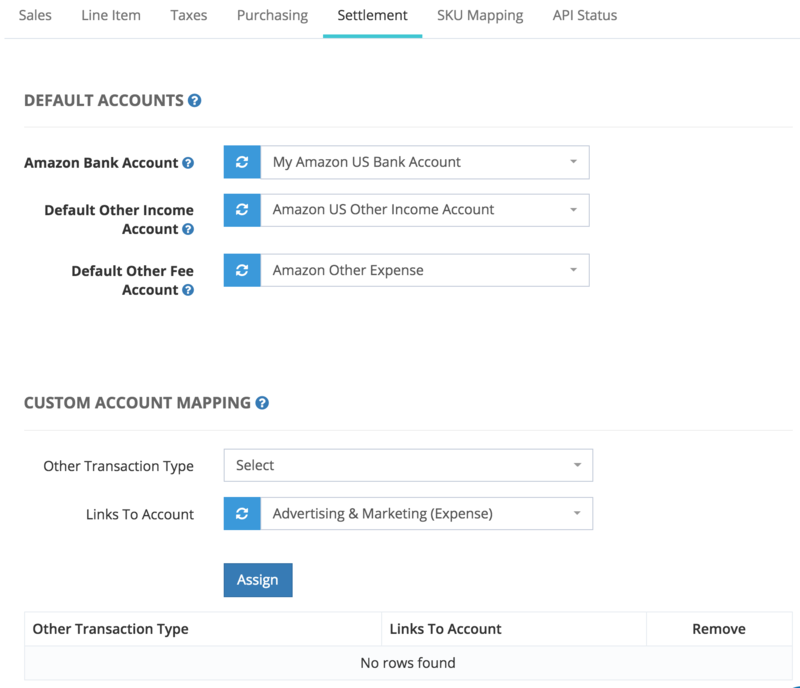 The options on this page allow you to select your bank account for settlements and to map specific Amazon transactions like Inbound Shipping to QuickBooks Online accounts. The Amazon Bank Account is the bank account for your periodic Amazon disbursements. For many sellers, this disbursement happens bi-weekly. The Default Other Income Account is for non-order income that you haven't mapped. This account needs to be an account with Type: Income and Detail Type: Other Primary Income. The Default Other Fee Account is for non-order expenses that you haven't mapped. This account needs to be an account with Type: Expense and Detail Type: Other Miscellaneous Service Cost. Read more about the Default Other Income and Default Other Fee Accounts. 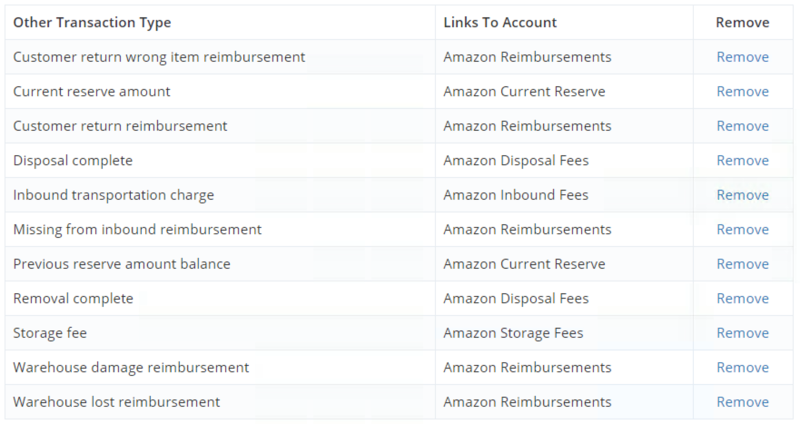 The "Custom Account Mapping" allows you to map specific Amazon transactions to your QuickBooks Online accounts. For instance, you can map Amazon previous reserve and Amazon current reserve to the same Amazon Reserve bank account, allowing you to see at a glance what your current reserve amount is. If you choose not to map any specific transactions, then we will use the default income and expense account for them. Confirm that the transactions are mapped to the proper accounts before moving on. Here is a sample of some of the most common transactions we have mapped.